On October 2nd, 2011 I attended the Ferrari 458 Challenge Race because i had to (work), so i had to go. But i did not regret going cause i enjoy going to all these events which people rarely get to go for FREE. If I'm not mistaken, my colleague told me it costs 200 Euro per ticket, so I am indeed very thankful. This is the lounge where the guests and media chill out, eat, and socialize. A group of cute people dressing up for the race. 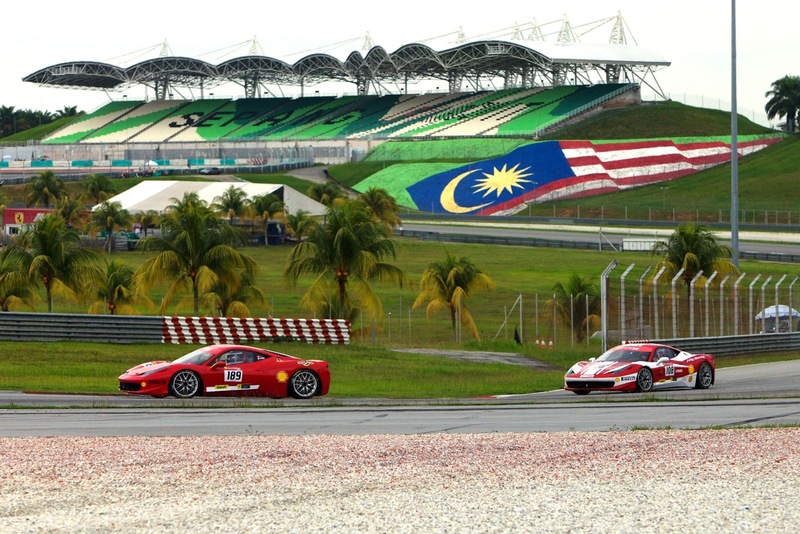 People are able to watch the race from here. 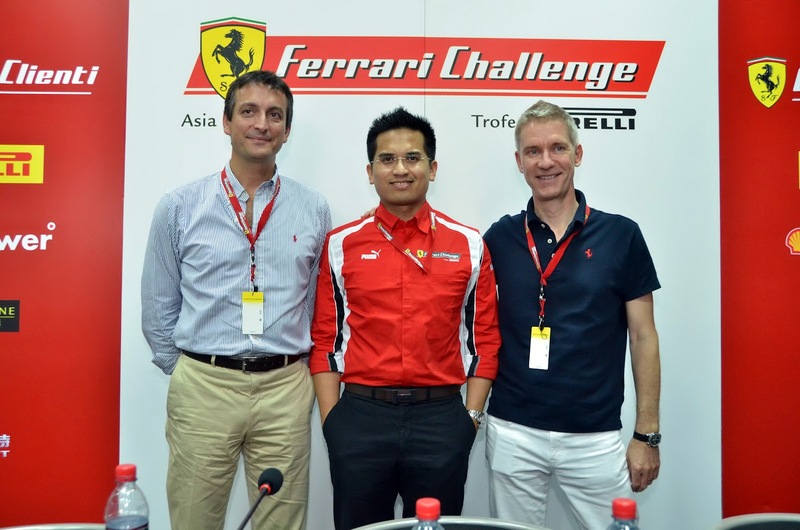 A special guest, Ferrari's Marketing Director, Enrico Galliera was present at the event. 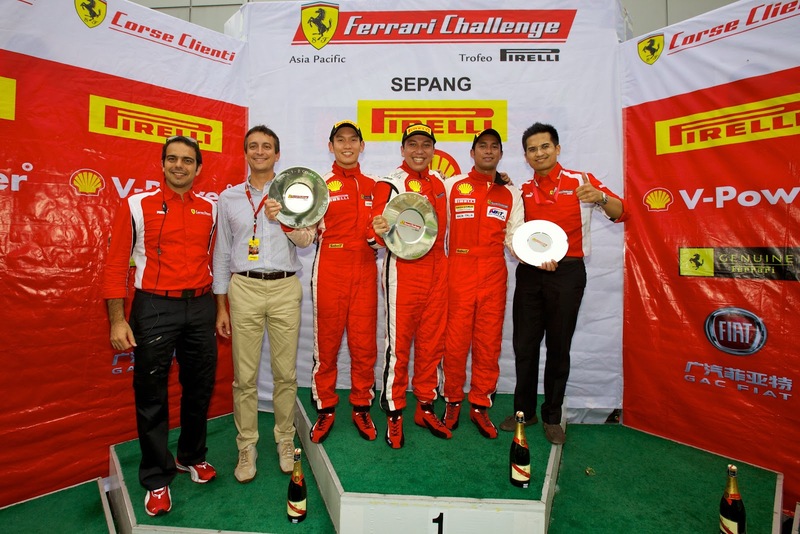 The race was divided into 2 category, Pirelli and Shell. Naza Racing Team was under Shell. 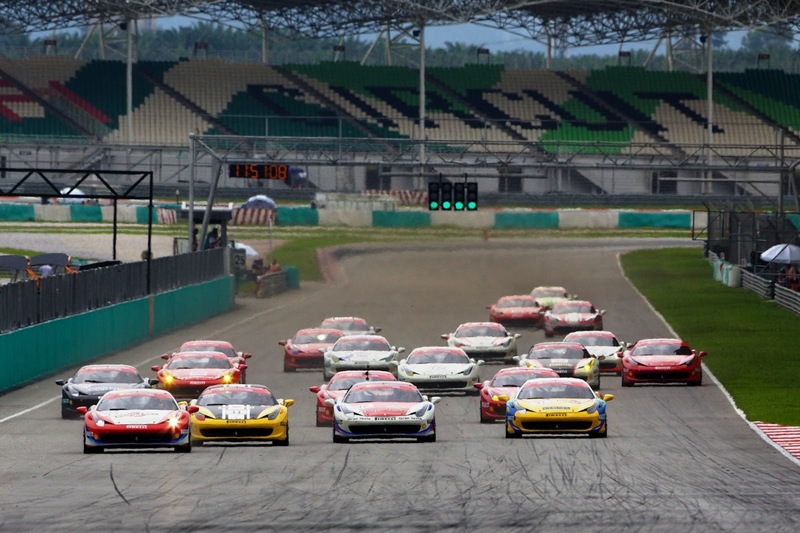 The Ferrari 458 Challenge is international, and it is first time in Malaysia. 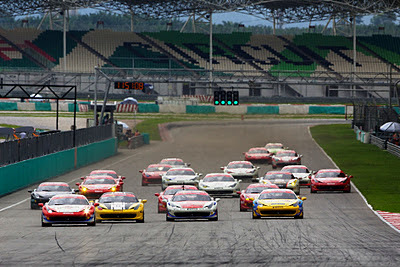 In the Pirelli category there are total of 9 racers competing. A video of the race that i managed to capture. 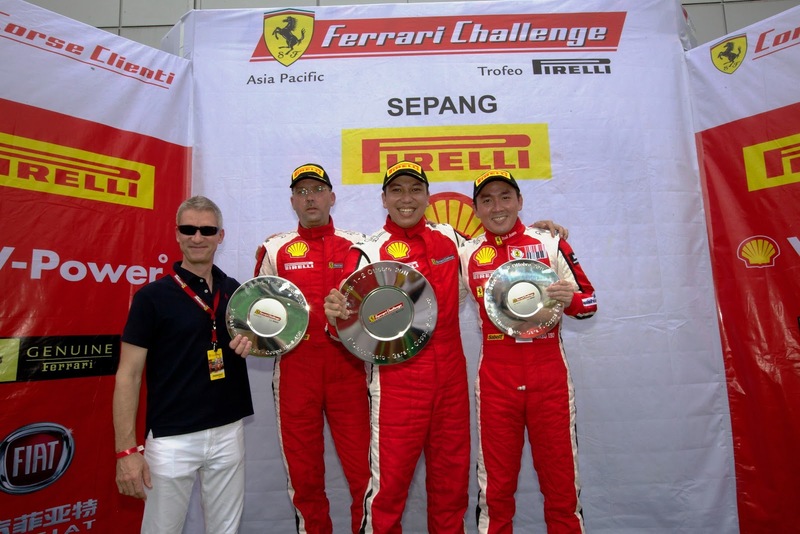 The winner of the Trofeo Pirelli goes to Hisao Shigeta (Japan), followed by Hisamori Hayashi, and Ringo Chong (Singapore). As for the Coppa Shell, victory went to Renaldi Martin from Hutasoit, followed by Tack Sung Kim of South of Korea, and last but not least our very own Erwin Azizi who got Malaysia 3rd place. 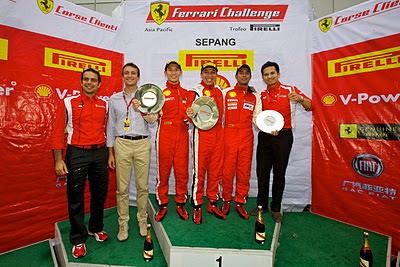 The Coppa Shell Category with Datuk SM Faisal.